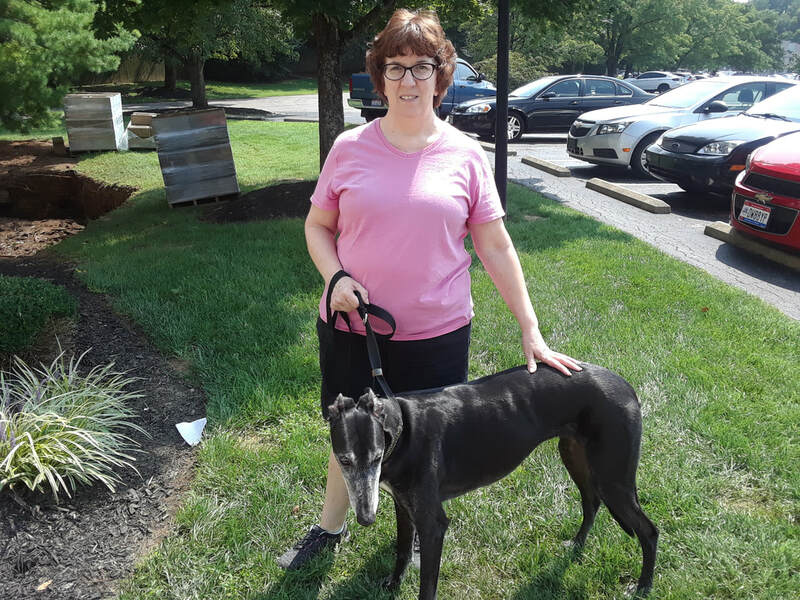 Anne who lives in Amelia has had greyhounds from GAGC sense we started this organization almost 18 years ago. Anne fostered many dogs and always fell in love with the seniors, who she ended up adopting  Well this is another example of her HUGE heart. She picked up two rehomes for us last week and when asked if she could foster Isabella who is 9 years old, she did not hesitate. A day later she asked to adopt her! What a lucky girl BELLA is to have Anne and Ethan (not pictured and two cats) in her forever family!